The Great Barrier Reef is one of the seven wonders of the natural world. As the world's largest reef system, it's composed of over 2,900 individual reefs and 900 islands stretching for over 1,600 miles. The Wet Tropics Rainforest is home to the largest range of plants and animals and the oldest rainforest on earth, including 2,800 different plant species. The railway was constructed between 1882 and 1891, and even today, is considered an engineering feat of tremendous magnitude as it winds its way from Cairns to Kuranda. Touted as "The World's Most Beautiful Rainforest Experience," the skyrail is a world's first in environmental tourism, taking you over Australia's World Heritage Rainforest canopy and deep into the forest. 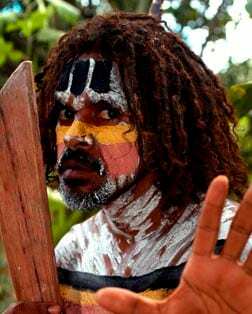 Located at Caravonica, directly next door to Skyrail Rainforest Cableway, the park offers a showcase of the Tjapukai people, one of the indigenous peoples of the Cairns region. The Esplanade lagoon and boardwalk overlooks the Barrier Reef and Trinity Inlet. This recreational area is one of Cairns' best-known landmarks and a focal point for both locals and visitors alike. The port of Cairns offers a variety of underwater opportunities at the Great Barrier Reef for the complete beginner to the more experienced snorkeler or diver.